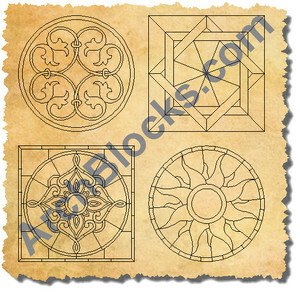 This is a great set of floor tile patterns and CAD tile medallions in AutoCAD .dwg format. 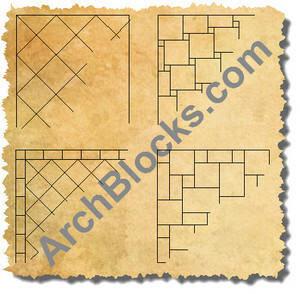 Don't waste time drawing floor tile patterns, just drag and drop them right into your flooring plan drawings. These are not hatch patterns, but floor tile vignettes and that have been made into blocks that you can drag and drop right into your CAD drawings. They can also be exploded for easy editing and to make changes in the flooring pattern. ArchBlocks.com products have a 100% satisfaction guarantee!